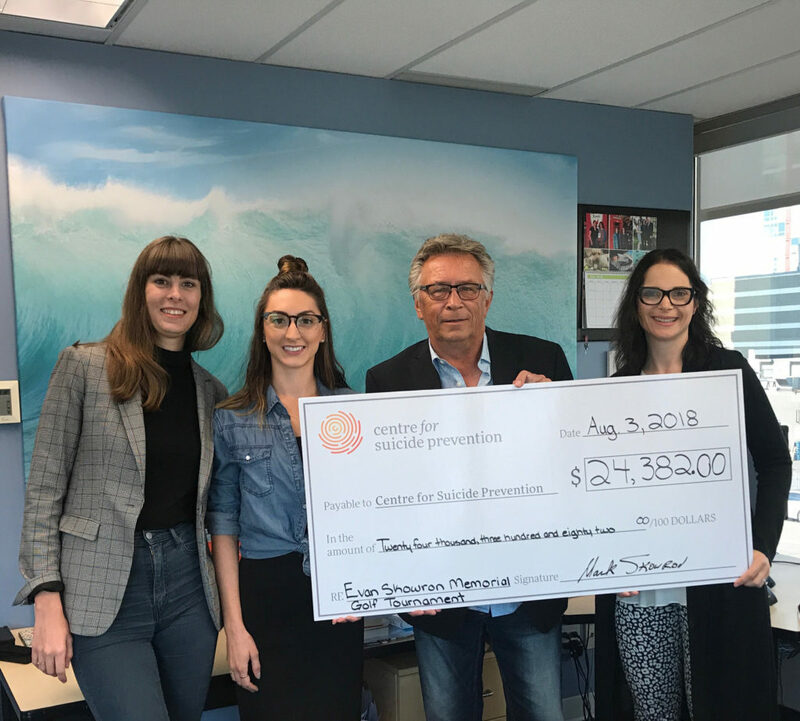 Our sincere thanks goes to all who organized and participated in the Evan Skowron Memorial Golf Tournament, which raised funds for the Centre for the third year in a row! This year the tournament raised $24, 382 for our Centre! These funds go directly toward raising awareness about suicide prevention, break the stigma and encourage conversations about suicide. From left: CSP staff Crystal Walker, Tammy Bogdane, Golf Tournament Organizer Mark Skowron, and Executive Director Mara Grunau.